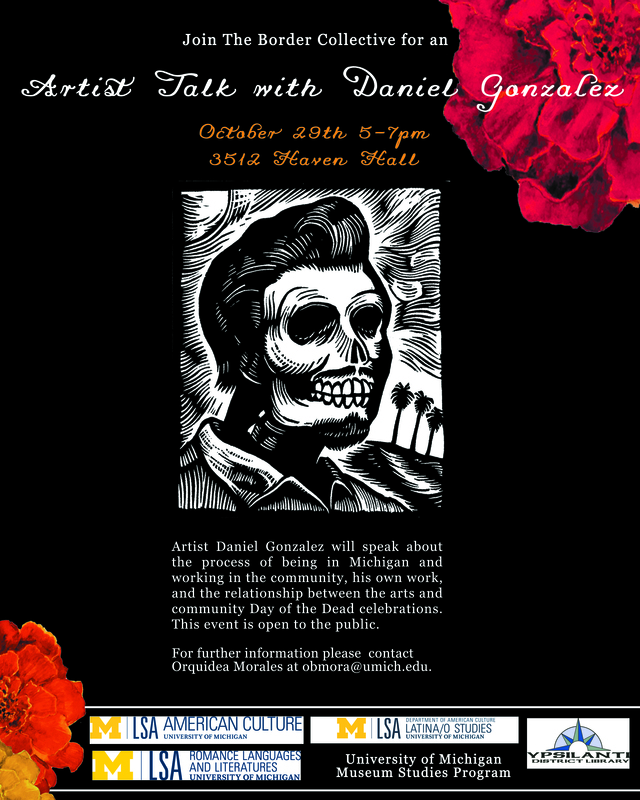 American Culture’s Border Collective Workshop will focus on the growth and changes in Day of the Dead celebrations in Mexico, the U.S. and parts of Latin America. Day of the Dead is a celebration held on November 1st and 2nd to remember those that have passed away. 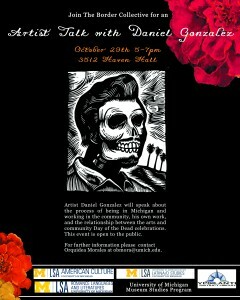 Distinguished speaker and artist, Daniel Gonzalez, will participate in these events. For more information, please contact Orquidea Morales at obmora@umich.edu) or visit this site. For specific information about events at the Ypsilanti Library, please contact 734-482-4110 x 1377 or visit www.ypsilibrary.org/events.